After years in the industry, Enventys Partners set out to develop a winning product using the team’s immense internal talent and expertise. Wanting to begin with something low-risk before advancing to more complex products, the team needed a product they could develop quickly that would cost little to tool and manufacture. Enter: Caiman Hat Clips. 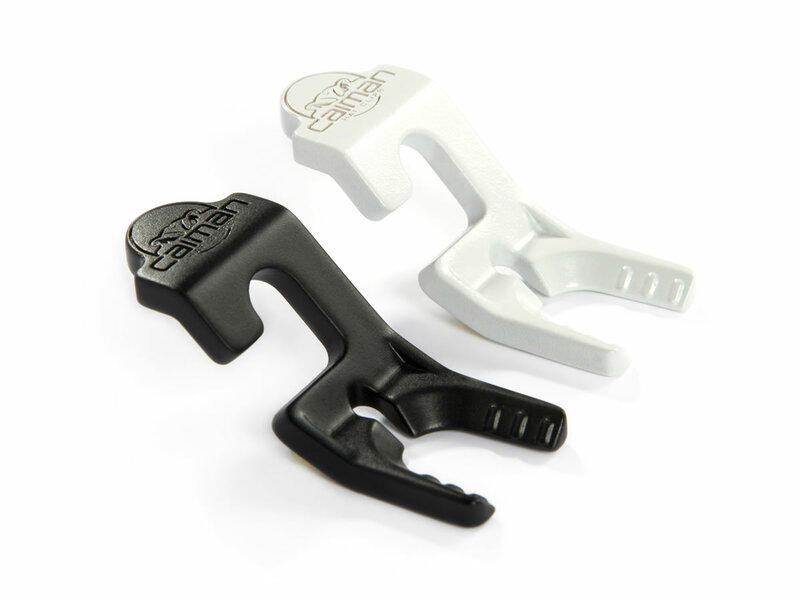 Caiman Hat Clips are easy-to-use hat clips that make it simple and convenient to store and organize your favorite hats. 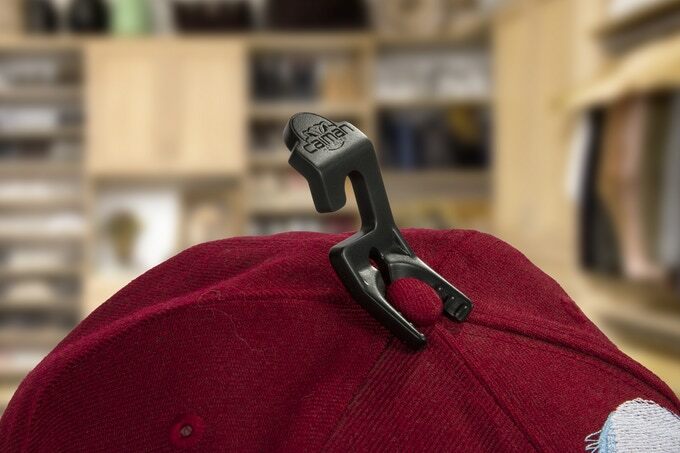 With up to ten hats fitting comfortably on one standard coat hanger, Caiman Hat Clips ensure that users can quickly find the hat they need for any occasion. Enventys Partners provided design, engineering, prototyping, manufacturing, fulfillment and sourcing, crowdfunding and ecommerce services to bring the Caiman Hat Clips concept to life. Inspired by the jaw of the Caiman, a fierce predator that dominates the rivers of the Amazon and a close relative to the alligator, the Enventys Partners product development team set out to create an easy storage solution for hats that would not damage or abrade them. The designers went through multiple rounds of concept modeling to refine the device. Early prototypes were made with a laser cutter to evaluate geometries quickly. 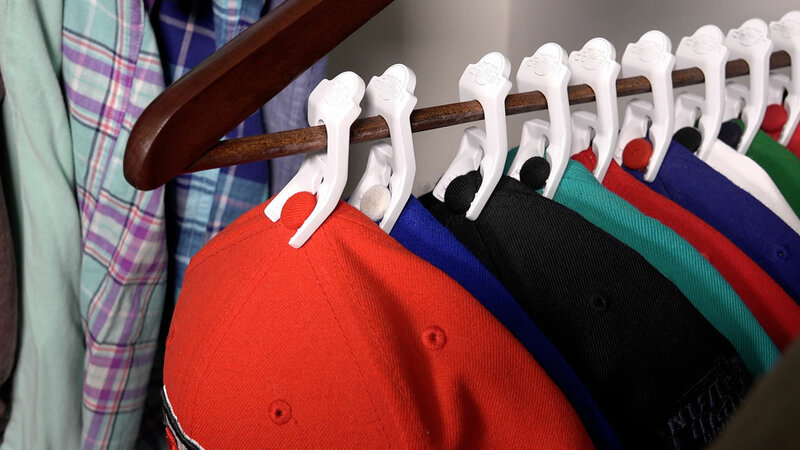 Then, the designers engineers created CAD files of the final design, which uses a hook and button-top grip to easily hang hats from a standard clothes hanger. Once the product development team had prototypes of a manufacturable design, the Enventys Partners crowdfunding team began working on a campaign to raise funds to cover the cost of development and manufacturing. The team also knew the costs of promotional videography and photography and the cost of running a crowdfunding campaign, which enabled them to set a funding goal to ensure these expenditures were covered. The crowdfunding team utilized lead generation advertising on Facebook to create interest prior to launch, focusing heavily on the viral video that the videography team created (it garnered 39,000 impressions and 28,000 views in the one week that it ran). Shorter clips from this video were perfect for creating engaging Facebook ads and GIFs for the campaign page. Simultaneously, the crowdfunding team’s content marketers got to work writing copy and designing the entire campaign page. Once the Kickstarter project launched, Enventys Partners’ crowdfunding team continued to manage the campaign, running Facebook Ads, sending out updates, managing social media, garnering press coverage, coordinating cross promotions and much more. After the crowdfunding campaign, the Enventys Partners team opted to sell the product solely on Amazon. Traditional forms of selling online tend to involve paying substantial amounts in marketing dollars, often dictated by resellers. This leads to a higher level of customer acquisition costs that don’t make sense for a low-cost product, like Caiman Hit Clips. Amazon was the logical choice because of the reasonable costs to sell there and the shear volume of website traffic. Moving directly to Amazon meant that the team was able to start making money as soon as the product was listed. Enventys Partners’ ecommerce team worked hard to ensure success on Amazon by using competitor research, keyword optimization, image and product description optimization and other strategies to help improve the ranking on Amazon’s search. As this is a new and unique product, the team had to get as many positive reviews as possible to help with social proof and improve the product’s ranking on Amazon. Platforms like Feedback Genius and Seller Labs were used to gather positive product reviews that would boost rank, and a proactive customer service team was built to handle any inquiries or problems. Additionally, the team used Facebook Ads, as well as ads through Amazon’s platform. After a few successful months on the platform, Enventys Partners’ Amazon experts also qualified Caiman Hat Clips for an Amazon Lightning Deal, selling 400% more units that day than on average. To bolster these efforts, the team created a microsite to improve SEO, which helped increase the product’s ranking on Amazon, as Amazon views outside traffic to a product page as an important factor in improving the product’s rank on the site. With a completed prototype in hand, Caiman Hat Clips launched a project on Kickstarter with a funding goal of $30,000. The project hit its goal in 24 days, and raised $41,693 from 1,032 backers in 40 days, exceeding its funding goal by 38%. This was enough to cover development and tooling costs, thus creating a viable new product business with possible line extensions to come. Since launching on Amazon, the number of units sold has increased each month.